This suite was unique in that it was local to us! Most of our clients are international so it was wonderful to be able to see the whole picture come together on the big day. 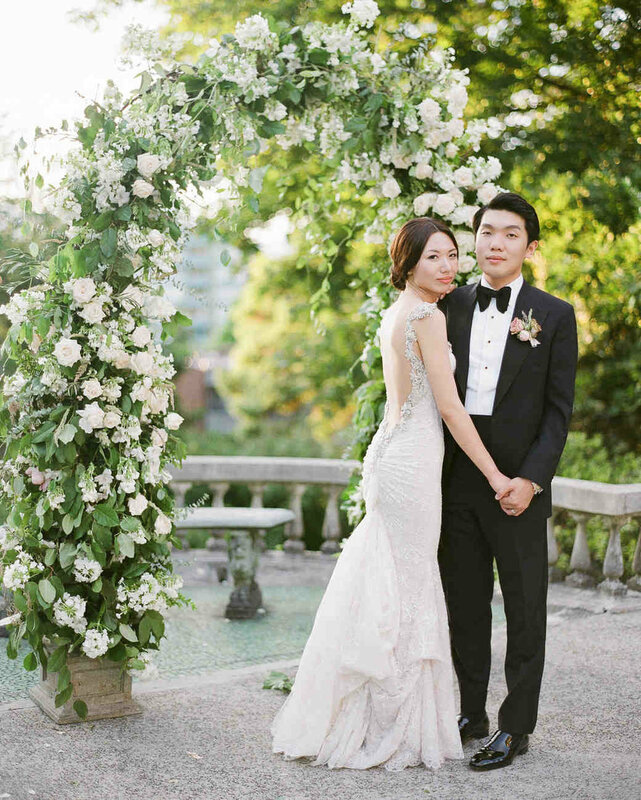 Plus, we got to work with our friends at Myrtle et Olive and Carol Hung Makeup Artistry, which is always a treat! 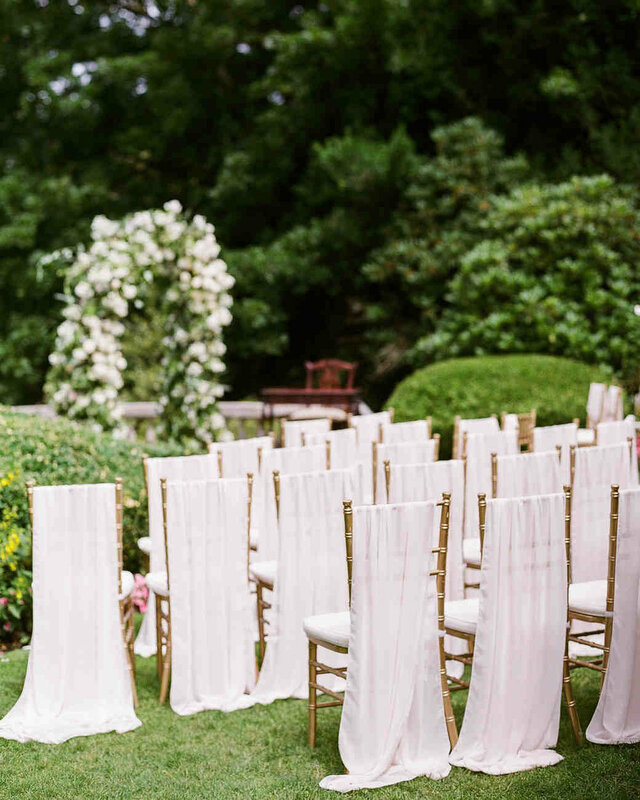 We kept this suite fairly minimal to suit the soft, romantic look of the event. To add some drama and tie in to the venue, we incorporated a marble pattern on the main invite and the menus. Gold foil on top of the marble creates a luxurious texture. Soft blues in the envelopes complimented the bridesmaid dresses and kept the colour palette soft and dreamy. A custom wax seal with the couples initials delicately tied it all together. One of the most unique aspects of this wedding's stationery were the place card / favours. 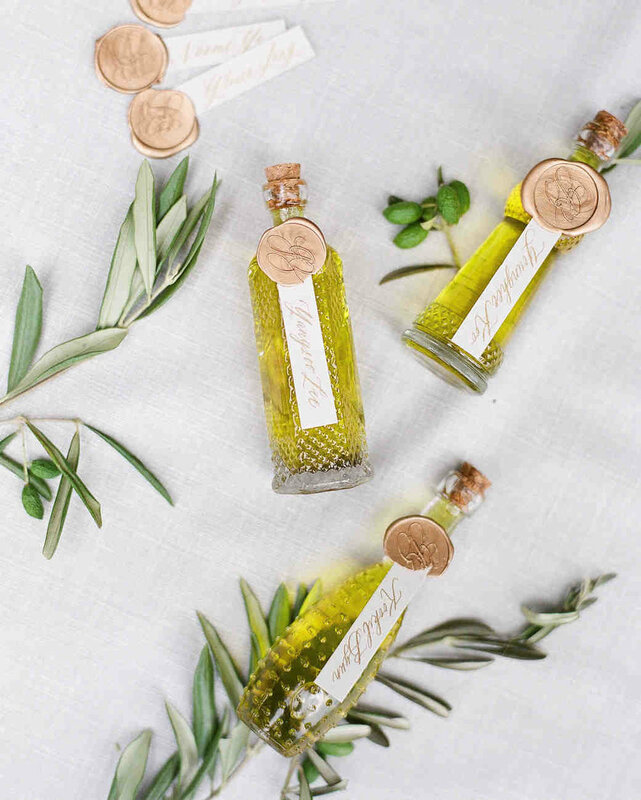 The bride and groom wanted to share a piece of Italy with their guests so we worked together with Myrtle et Olive to marry an assortment of whimsical little bottles with each guest's name written in calligraphy and wax sealed to the bottle. 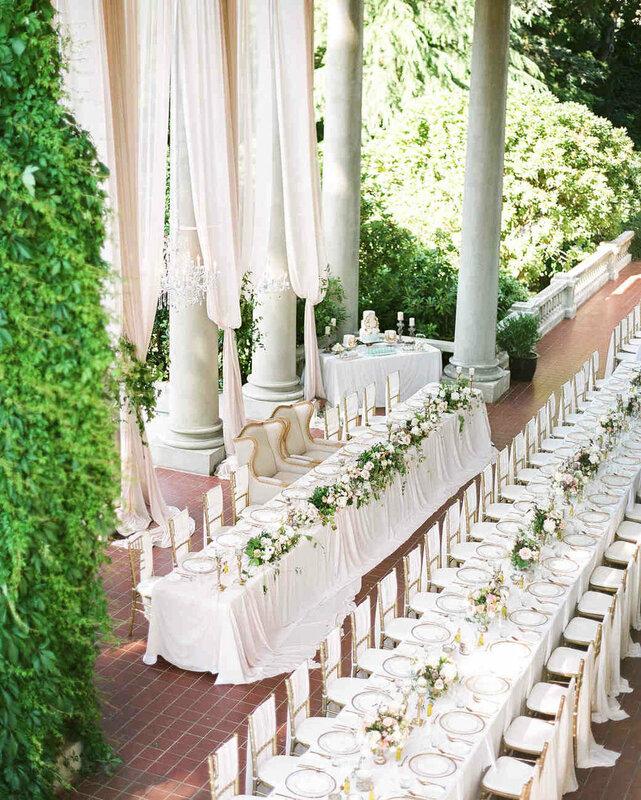 This wedding was featured on Martha Stewart Weddings.